Huawei introduced the P30 and P30 Pro yesterday, but their Lite sibling wasn't part of the announcement. 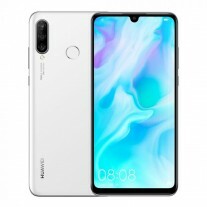 Yet the midranger Huawei P30 Lite wasted no time and is already listed for pre-order in the Philippines. 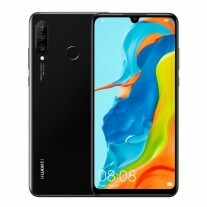 Websites like Abenson, Shopee have listed the phone for PHP16,990 ($320/€290), with shipping set for April 4. Looking at the CPU configuration of four Cortex-A73 cores at 2.2 GHz and four Cortex-A53 units at 1.7 GHz,the chipset is likely the Kirin 710 with Mali-G51 GPU. The phone listed is with 6 GB RAM and 128 gigs of storage, but there is no word on microSD slot. The triple camera on the back includes a 24 MP main shooter, 8 MP wide-angle lens and 2 MP depth sensor. However, the pride of the phone is the 32 MP selfie camera, positioned in the waterdrop notch on the front. Speaking of the display, it is 6.15” LCD with Full HD+ resolution and tall 19.5:9 ratio. Arriving with Android Pie and EMUI 9.0.1, the Huawei P30 Lite has a 3,340 mAh battery with 18W fast-charging, USB-C port and 3.5 mm audio jack. It supports Wi-Fi 802.11 a/b/g/n/ac standards, but Bluetooth is limited to 4.2. The back appears to be made of plastic looking like glass, but there is no NFC whatsoever. Huawei is launching the phone in White, Black, and Blue. Abenson gathers pre-orders until April 12, but first shipments start on April 10. It will arrive with plenty of gifts, including a 10,000 mAh powerbank, Bluetooth speaker and a selfie stick while supplies last. 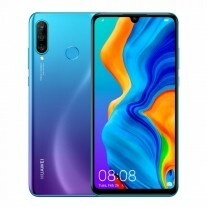 Shopee is also throwing in a tempered glass protector and a case for the Huawei P30 Lite, while wrapping up the pre-order campaign earlier - April 4. Why weren't comparisons done with the Nokia 9 ...it may not be as good with zoom but it certainly is capable of competing.